Almandine Red metallic, black power operated soft top with glass heated rear window, Mushroom leather, 5 speed gearbox, air conditioning, cruise control, electric memory front seats, leather steering wheel and gearknob, airbag, front and rear armrests, central storage box, illuminated vanity mirrors, original 8 hole alloys, recent Blaupunkt radio/CD, full service history all with MB dealers and specialists, supported by every old MOT cert and many service invoices, 46,000 miles. 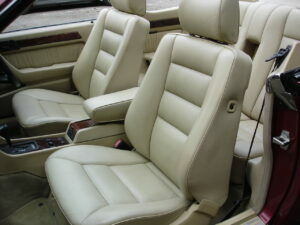 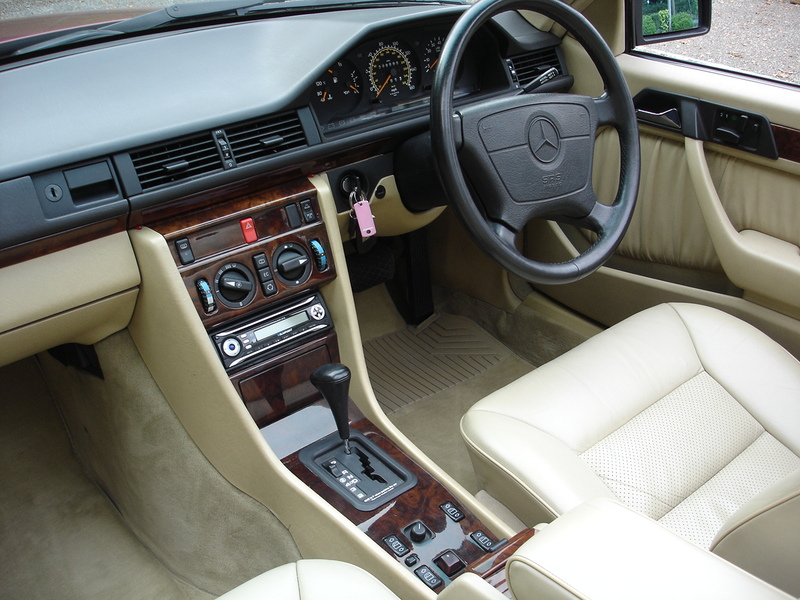 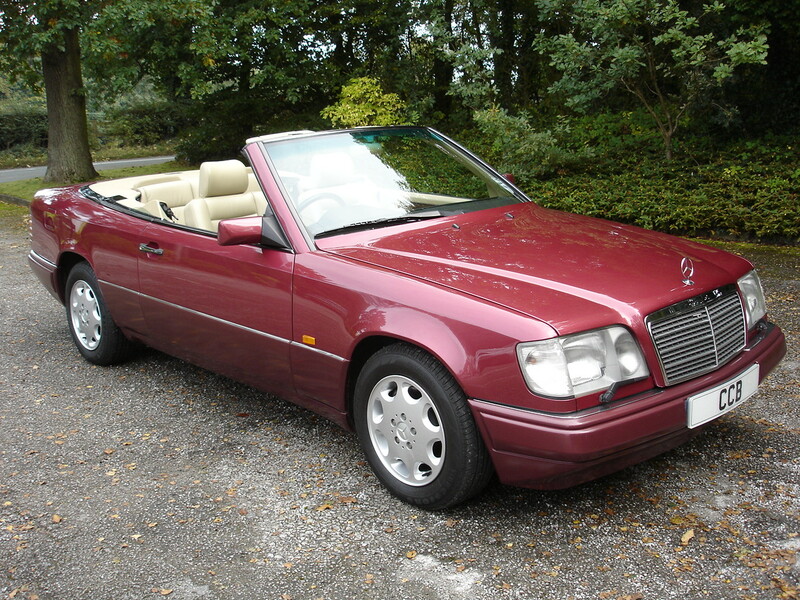 This is one of only 557 E320 cabriolets officially imported to the UK, and it is equipped with a very high options list, all of which makes it a very rare car. 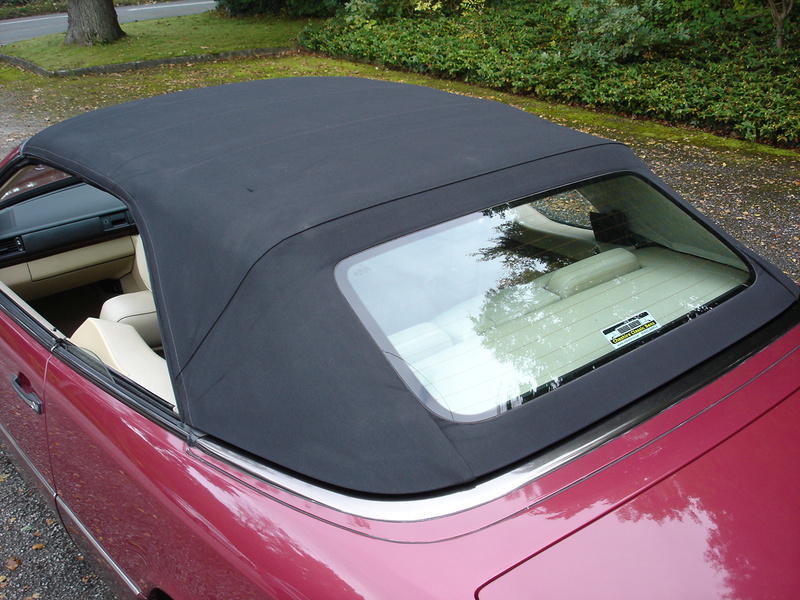 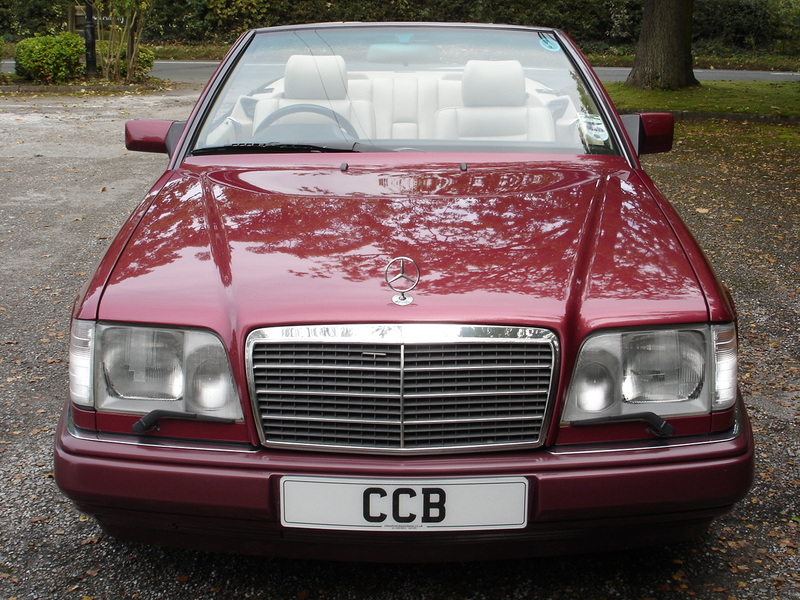 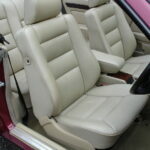 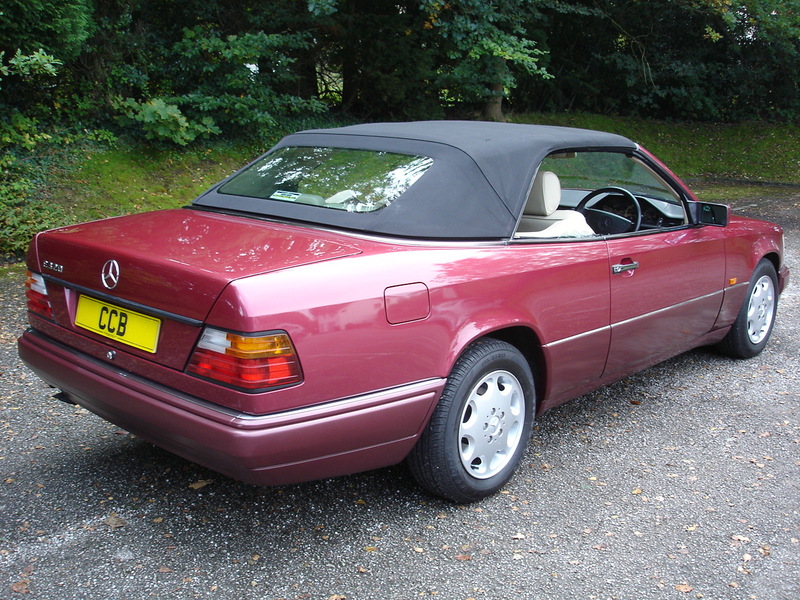 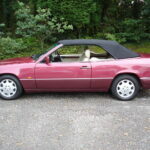 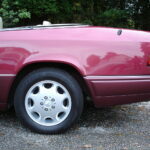 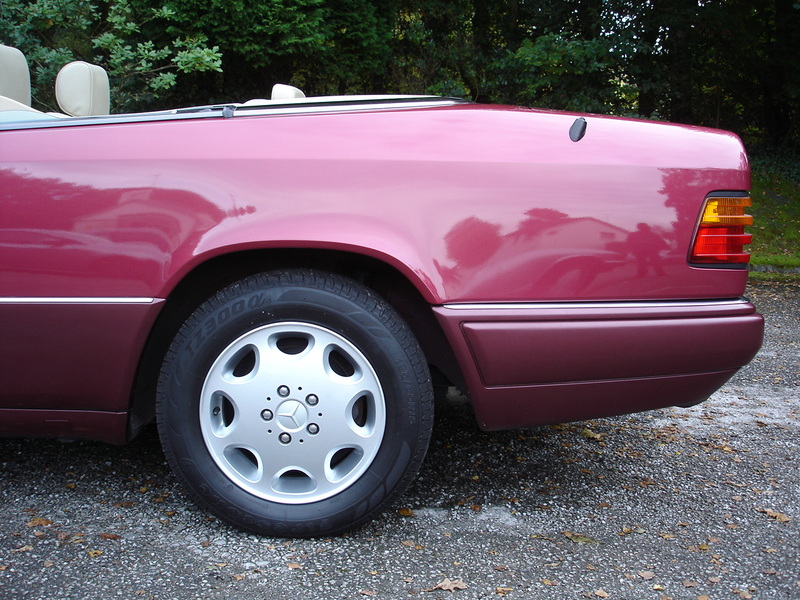 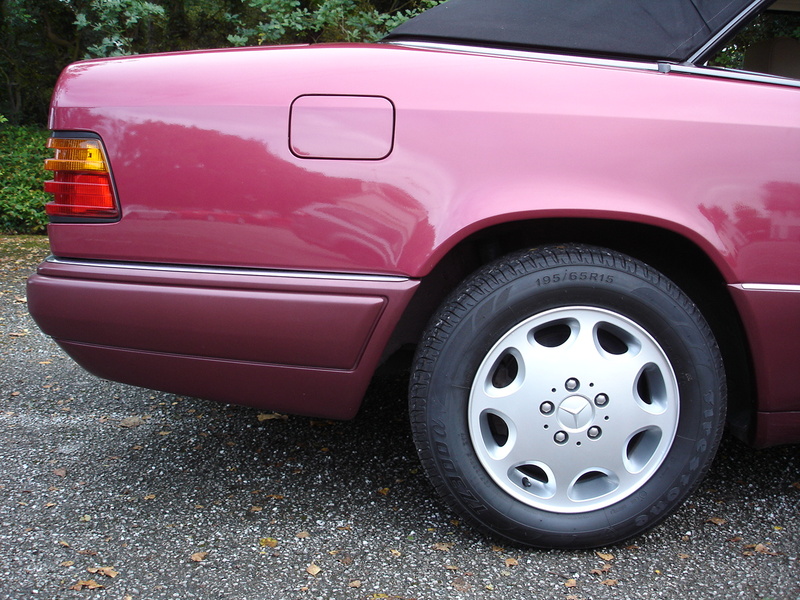 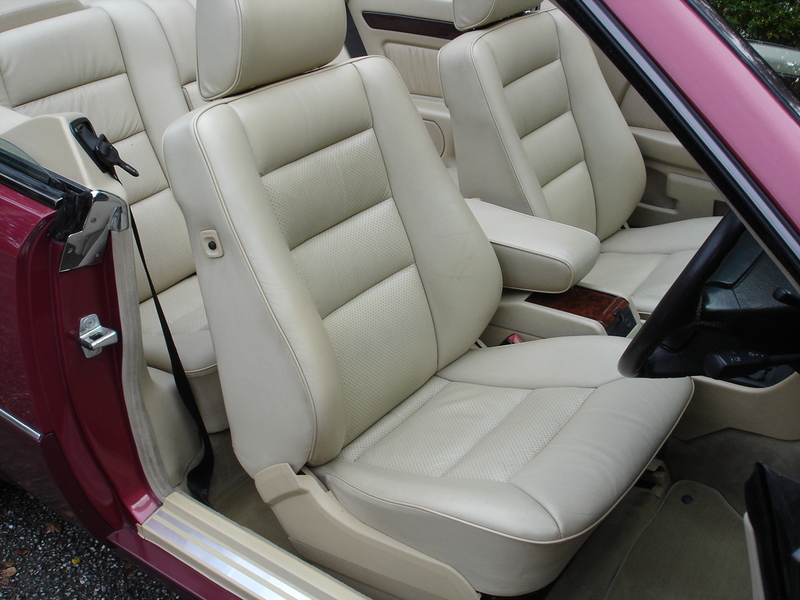 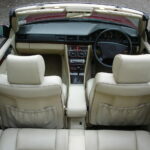 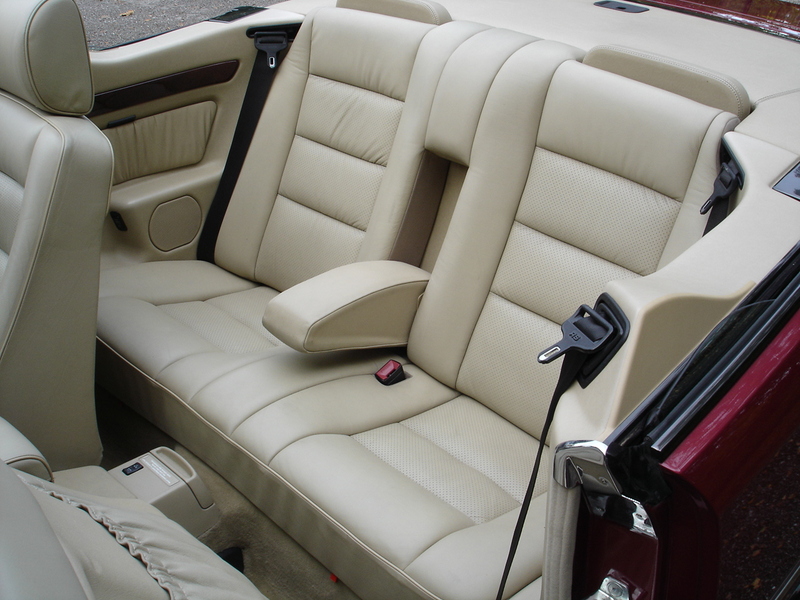 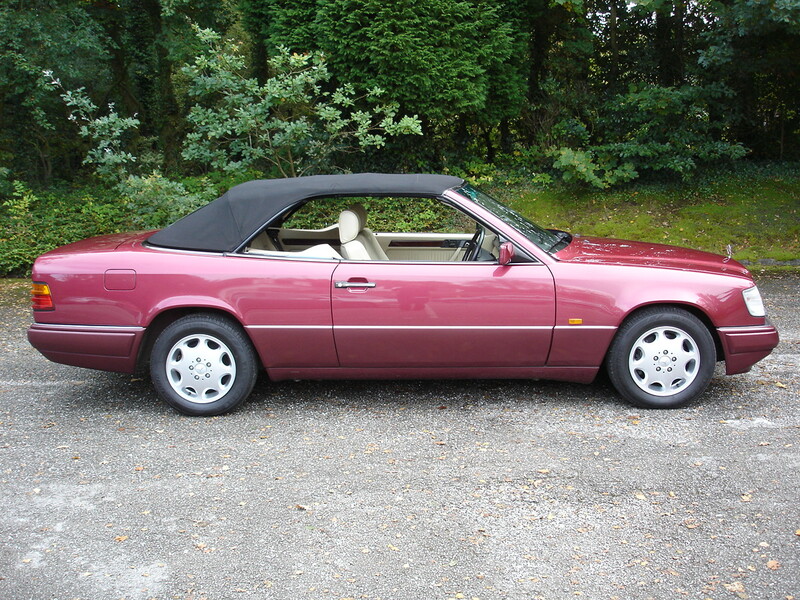 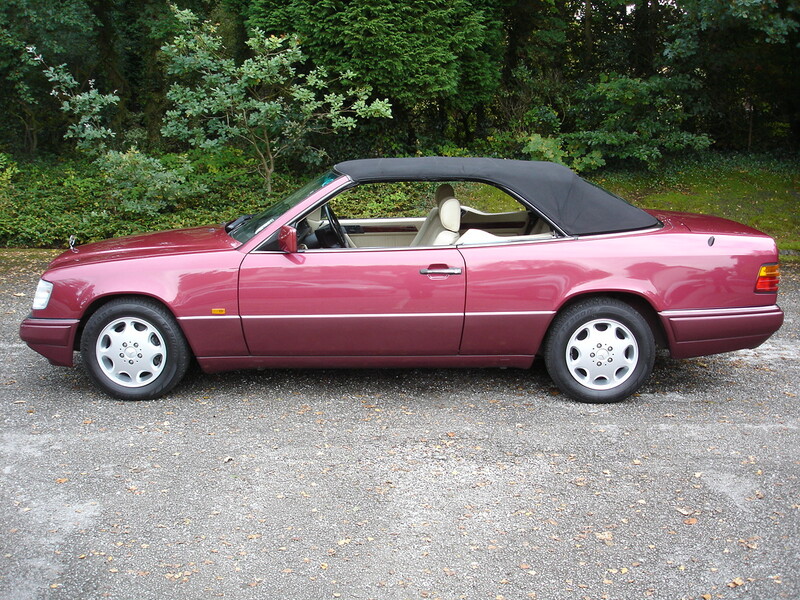 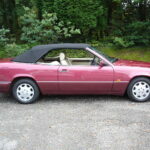 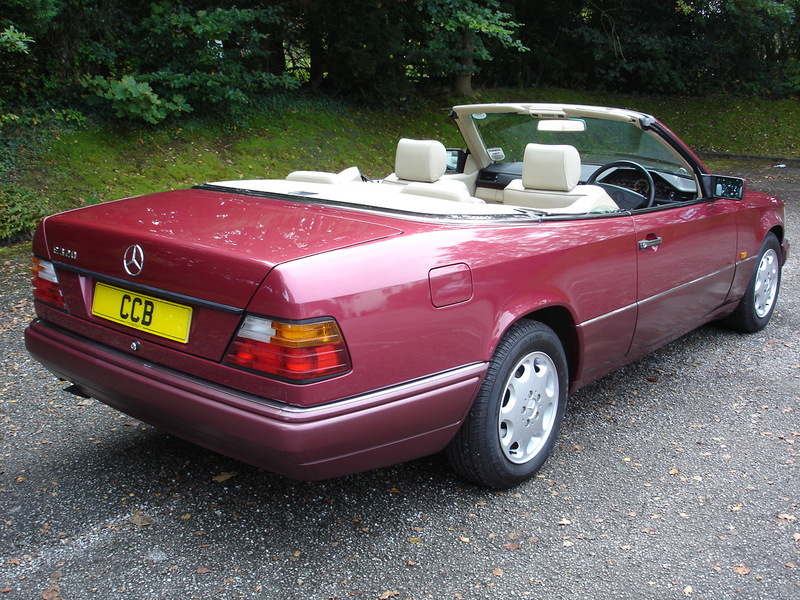 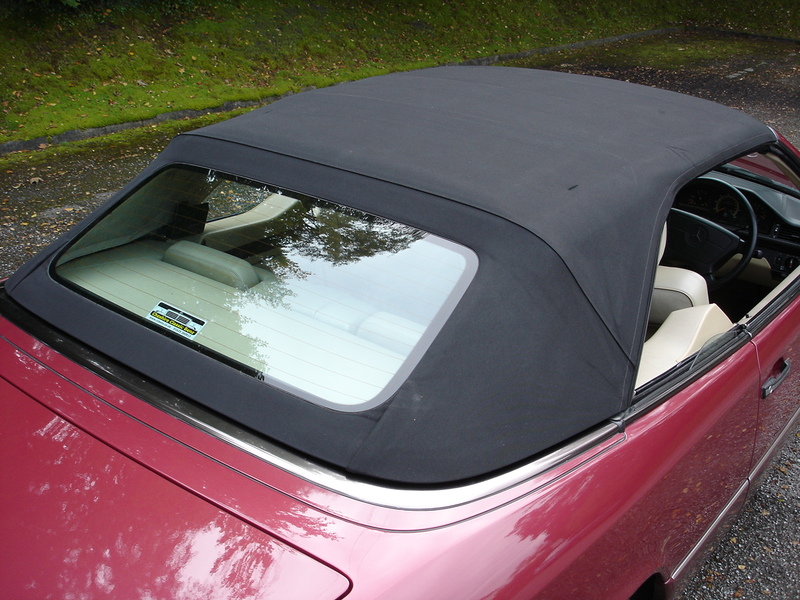 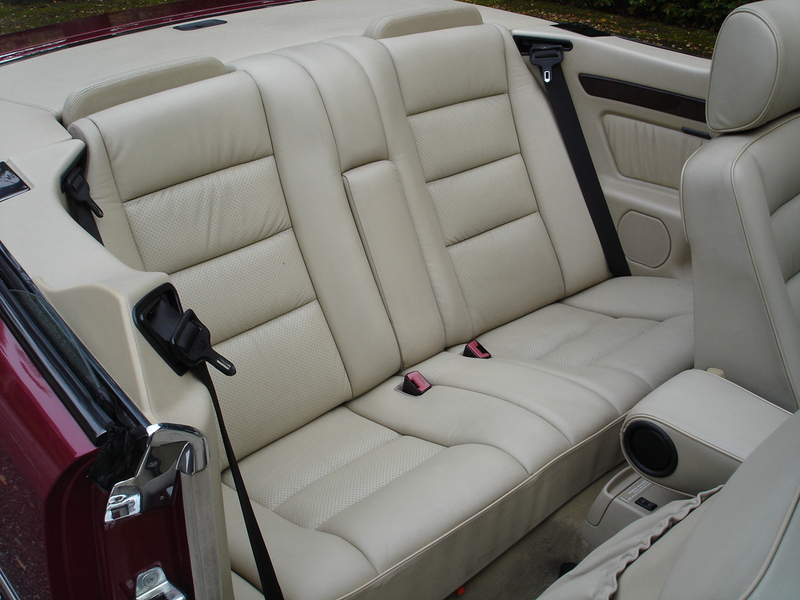 It looks striking and elegant in its pristine burgundy metallic paint with the slightly darker lower panels, which perfectly complement the immaculate mushroom leather interior and black soft top. 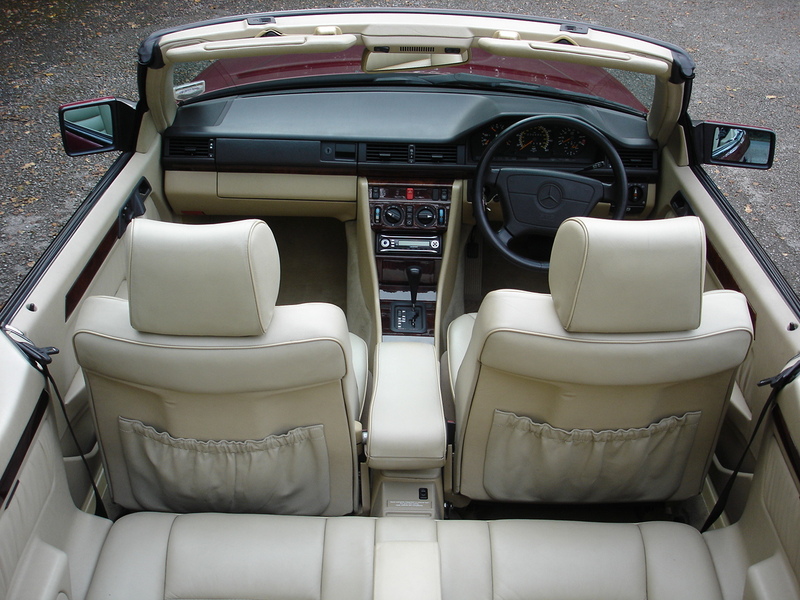 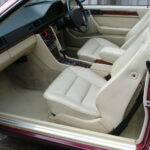 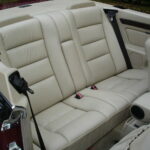 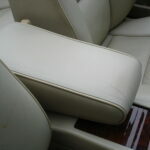 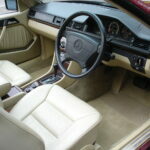 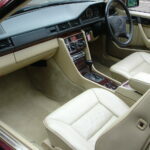 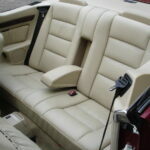 All parts of it are in exemplary condition, completely belying its 23 years of age. 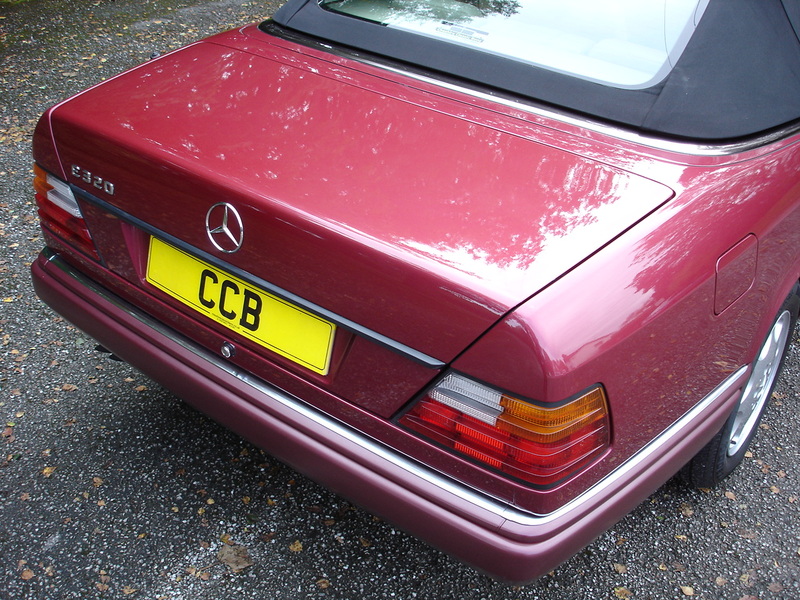 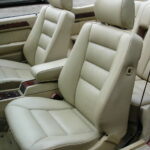 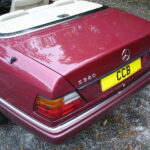 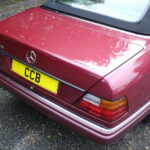 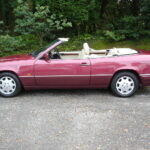 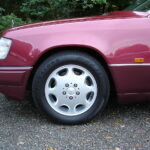 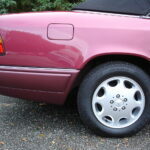 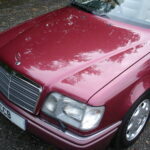 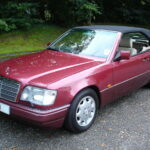 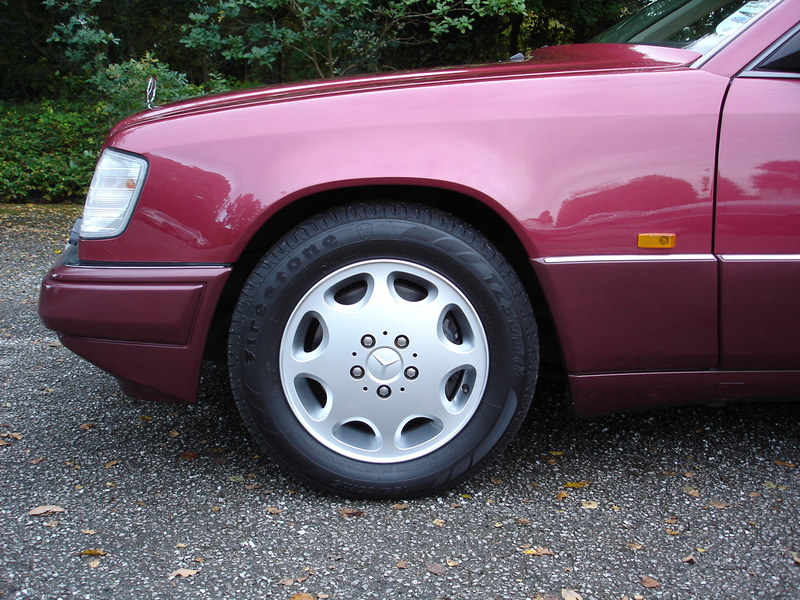 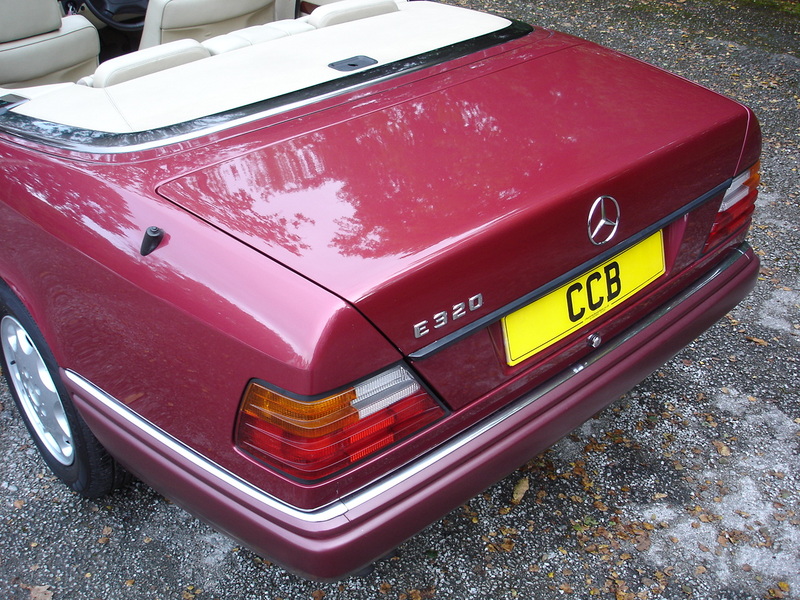 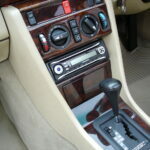 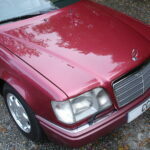 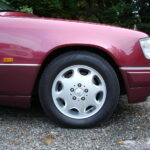 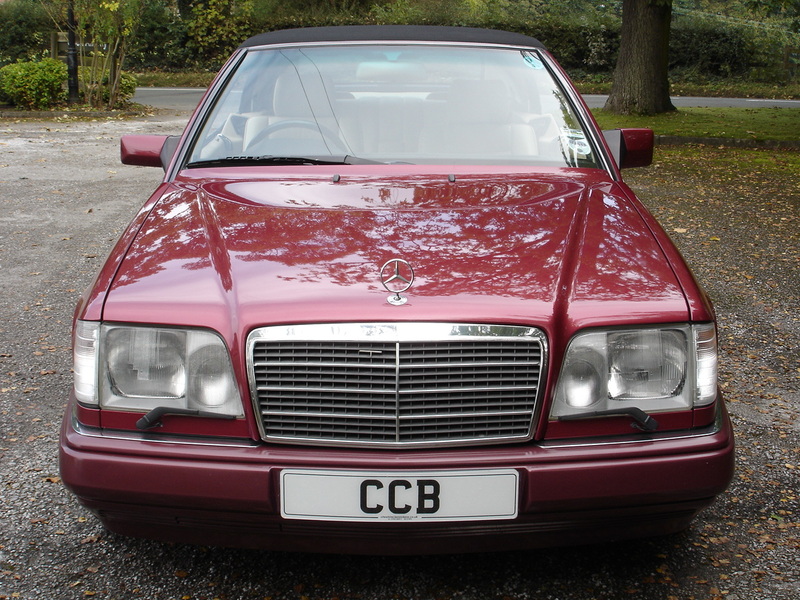 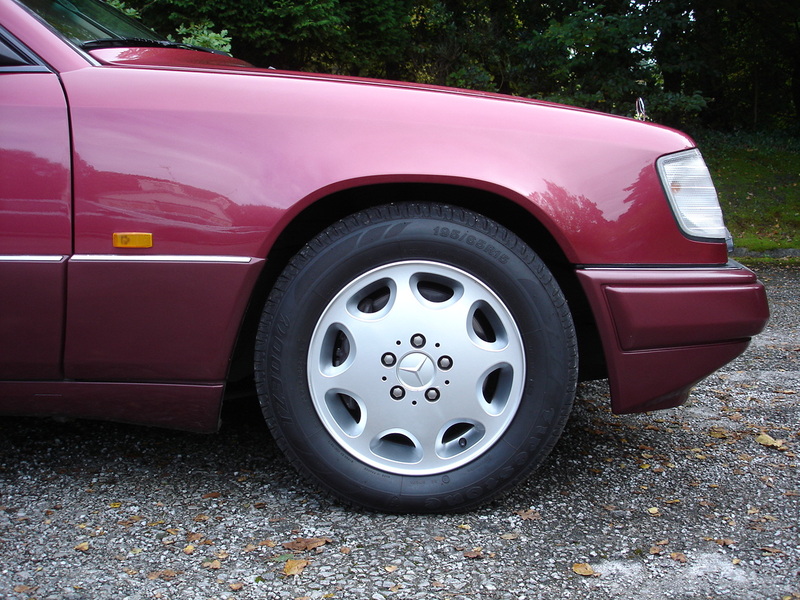 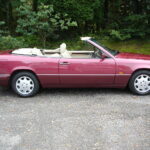 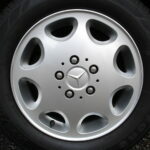 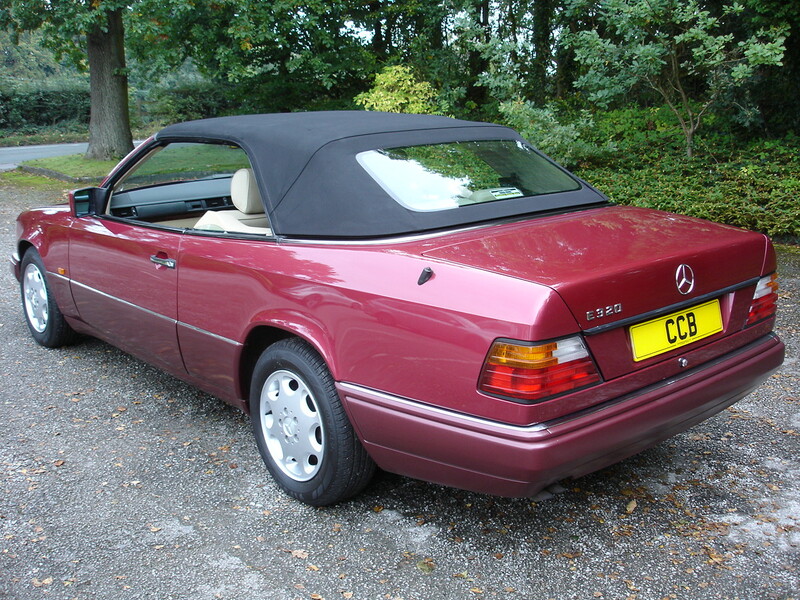 It was supplied new by Brunswick Mercedes-Benz of Croydon in August 1993 to a gentleman in Carshalton, and was serviced five times by them during the first four years of its life, by which time it had covered only 8,136 miles. 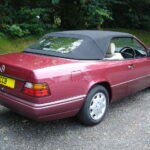 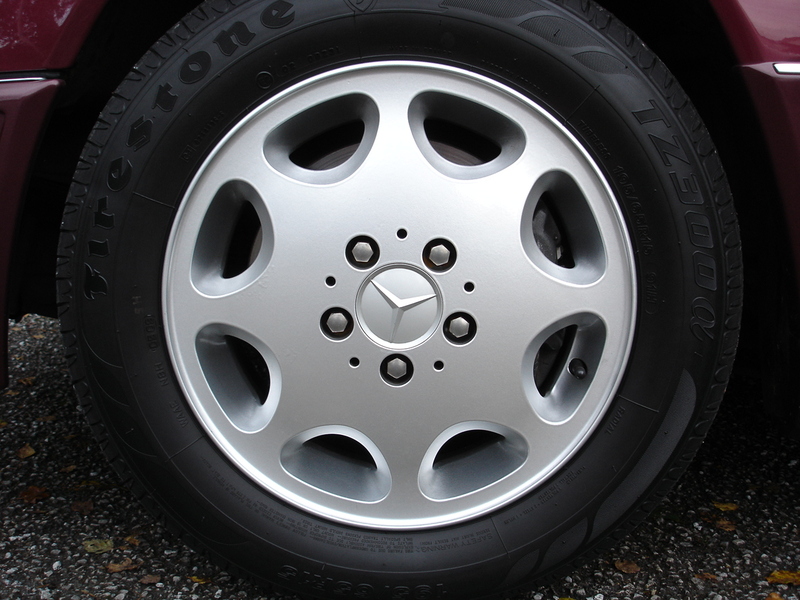 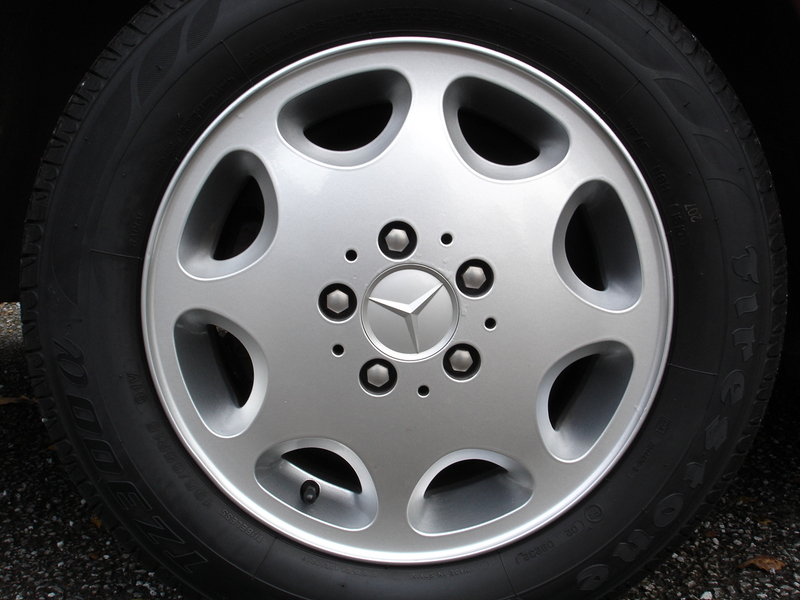 The next three services were carried out by Malaya Mercedes-Benz of Epsom and Bromley, which took it up to 14,693 miles in 2000. 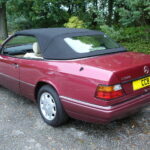 For the next six years the car was used only occasionally, covering around 1,000 miles per annum in a fairly even pattern, but was always taxed and MOT’d ready to go. 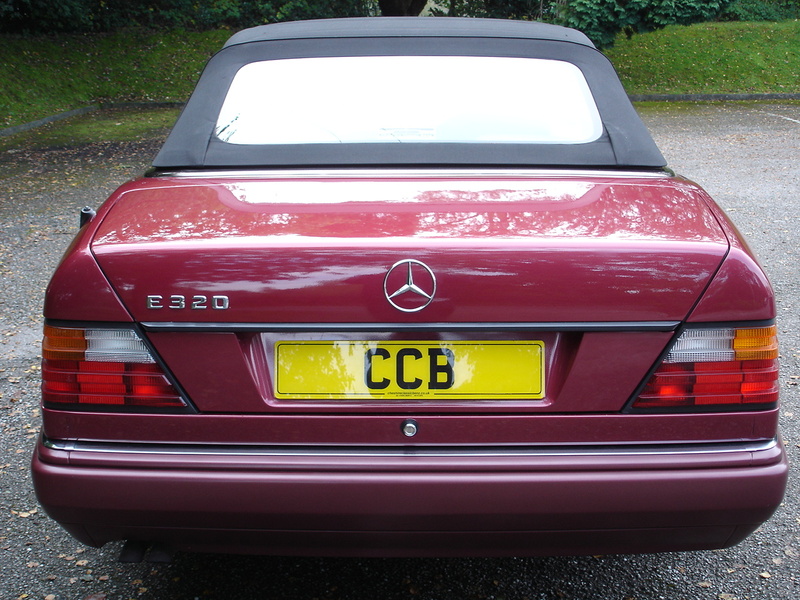 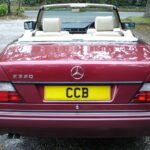 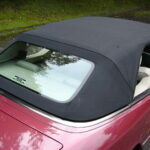 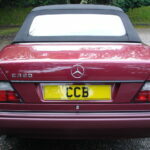 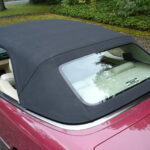 In 2006 the first owner sold the car and it passed to a new owner in Ipswich. 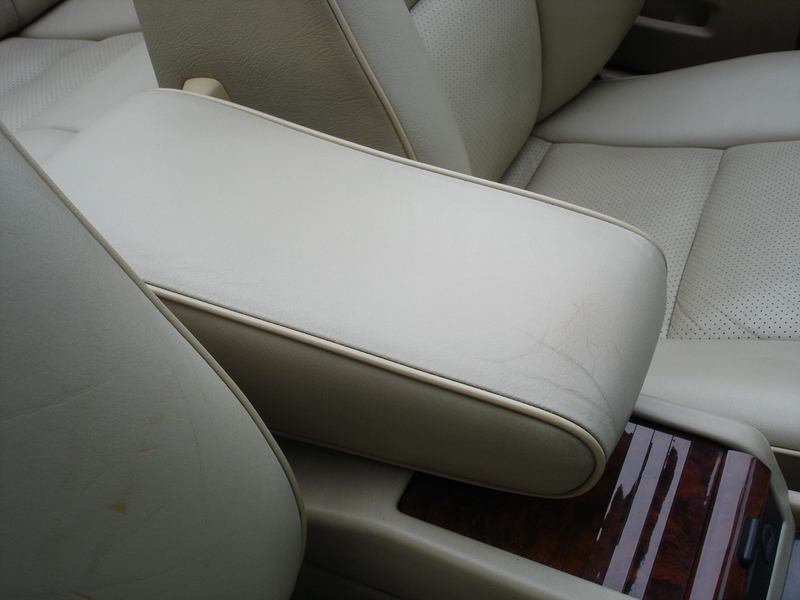 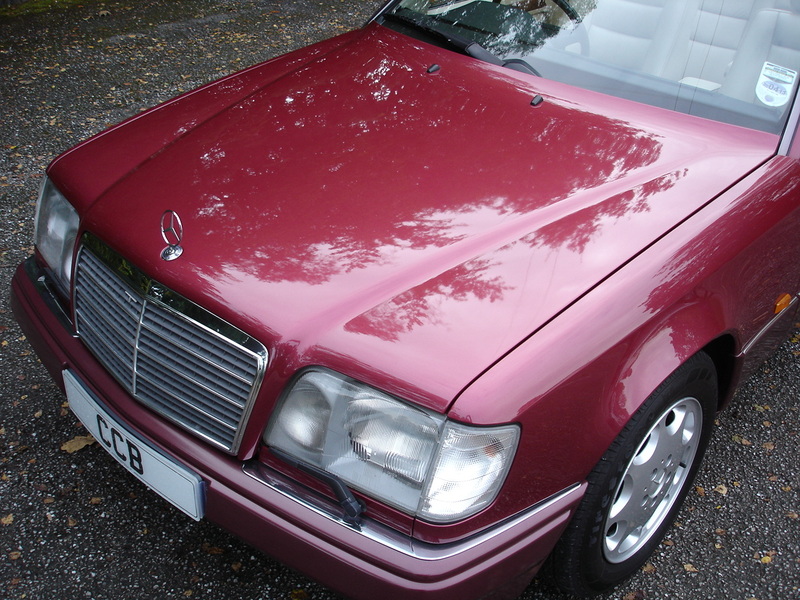 He kept it for two years and covered around 8,000 miles in the time, having it serviced twice by the well known Derrick Wells independent Mercedes specialist in Needham Market, Suffolk. 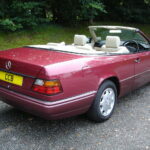 In January 2008 the third owner purchased the car for his wife, but as it was so perfect she generally used her 4×4 for the daily round and only added another 2,000 miles or so of special journeys during her tenure. 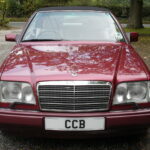 Its fourth owner was a university professor from Edinburgh, and we supplied it to him in May 2009 after servicing it in our own workshop. 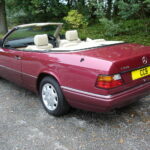 He only covered around 7,000 miles of mainly holiday driving in it during his three years of ownership and thoroughly enjoyed it. 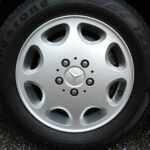 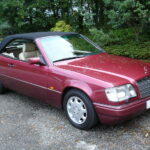 During its time with him it was serviced twice by the well known Merparts independent Mercedes specialists of Port Glasgow. 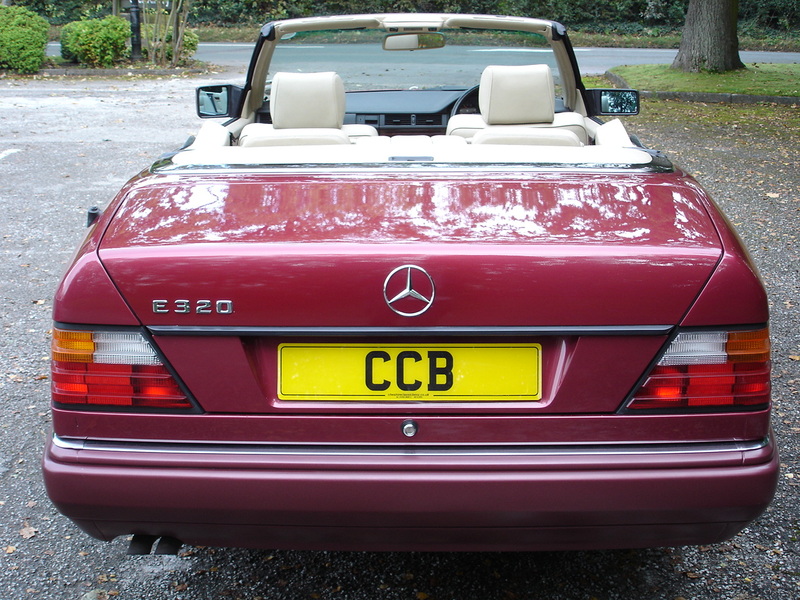 Following a change in that owner’s personal circumstances the car became available again and we bought it back and supplied it to a gentleman in Nantwich, Cheshire in March 2013, with the mileage standing at 39,000, after once again servicing it in our own workshop. 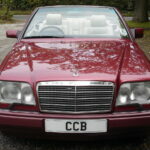 As a globetrotting businessman he did not manage to use the car as much as he would have liked, so he left it with his brother in March 2015. 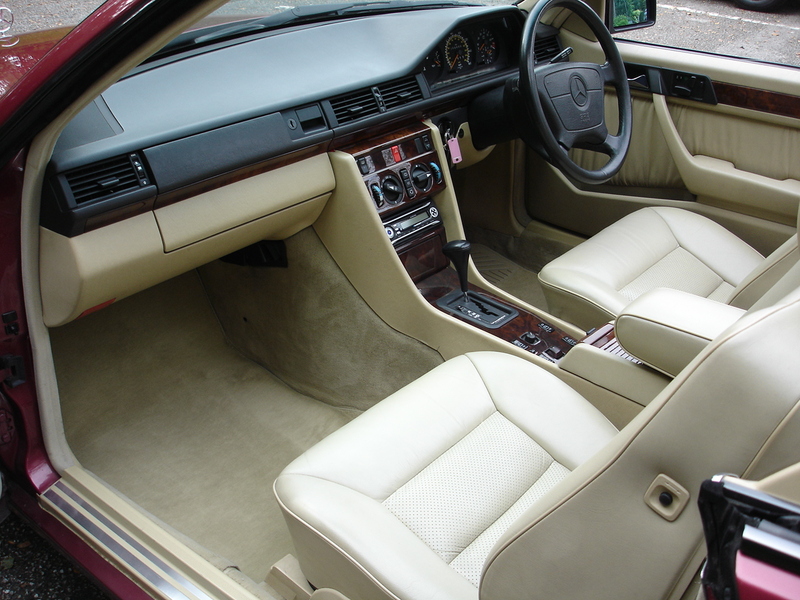 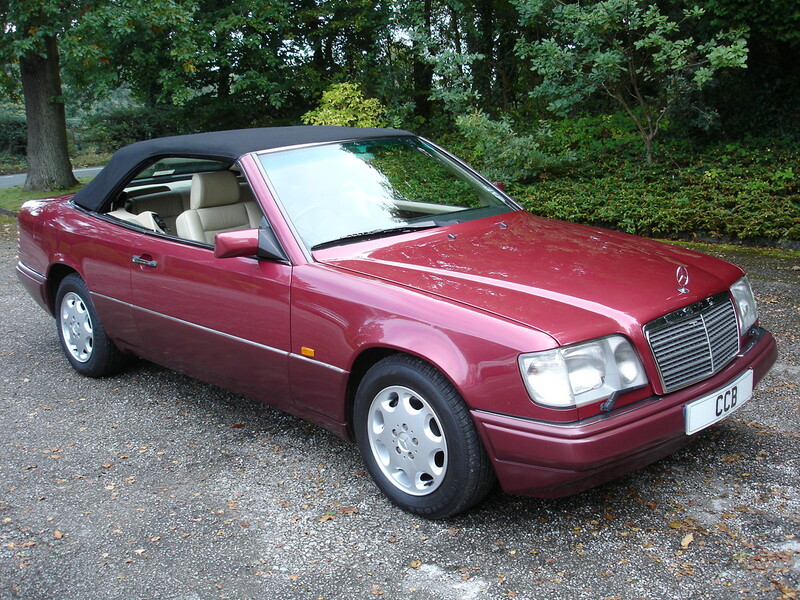 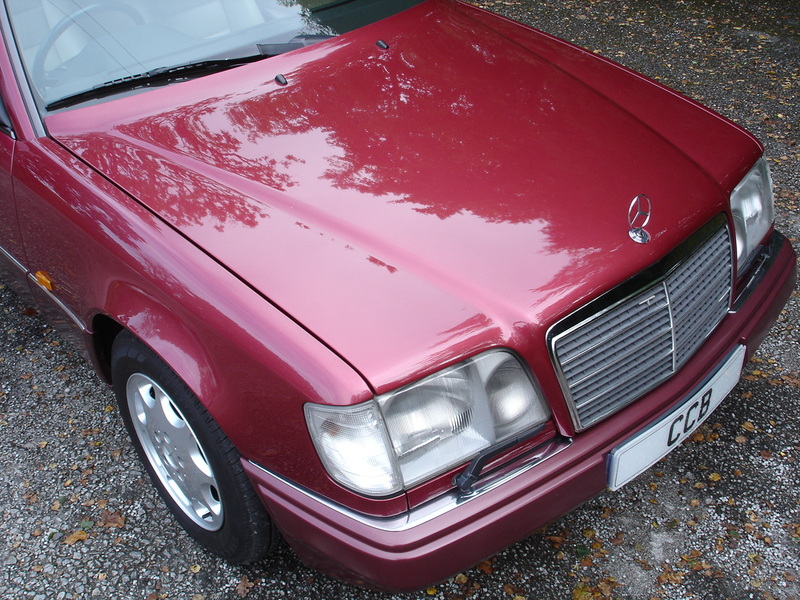 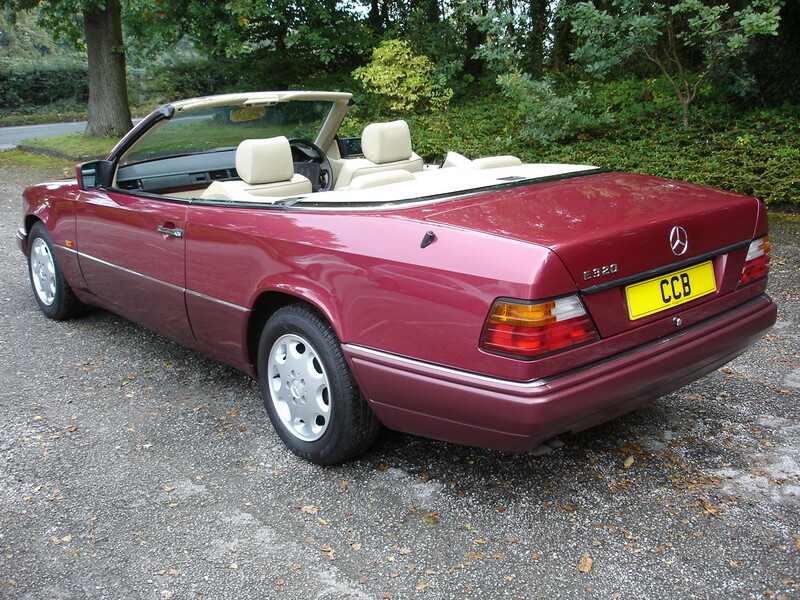 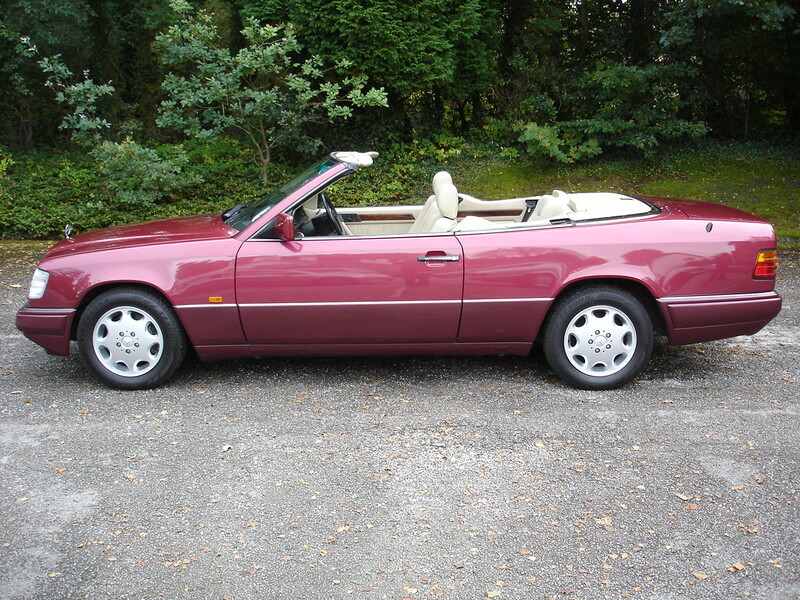 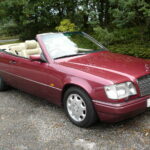 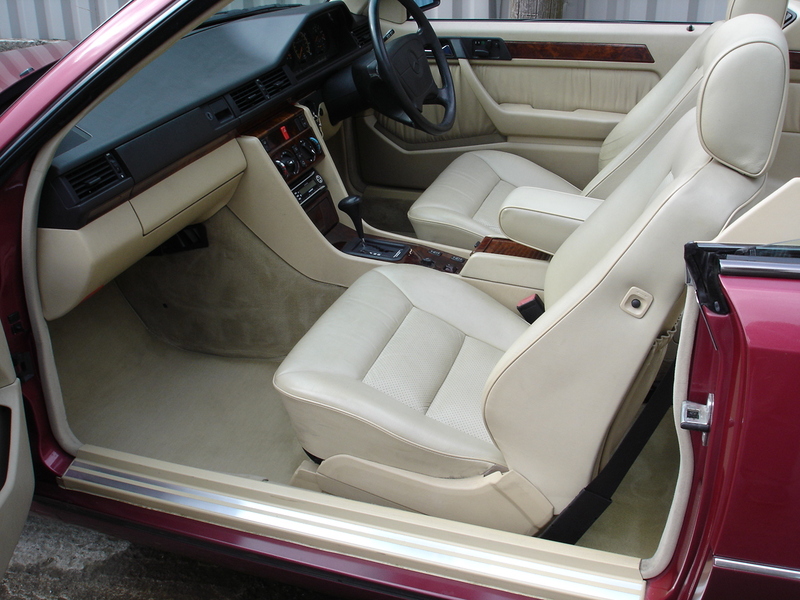 The brother already had an E320 cabriolet of his own (it was that car that had impressed him to buy one himself), so it was only a short time before we got a call, and jumped at the opportunity to buy this gorgeous car back. 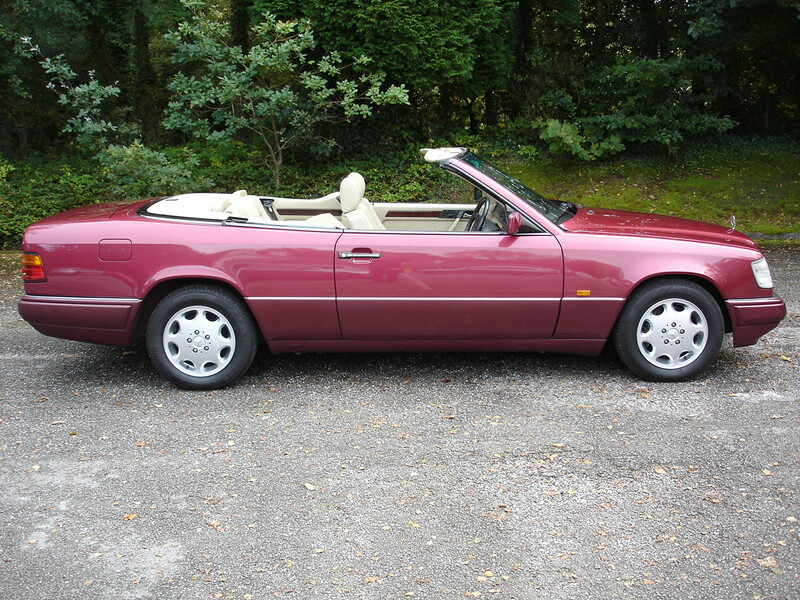 It is now once more available to a new owner. 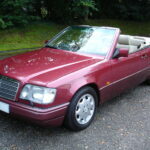 The service history is excellent, with a total of 16 MB dealer and specialist stamps in the service book, every MOT certificate since the car was three years old, and many invoices on file. 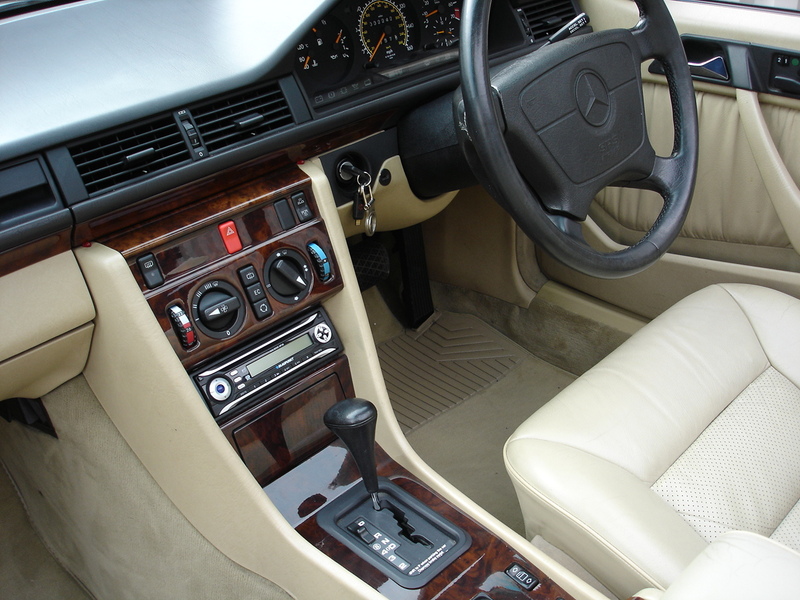 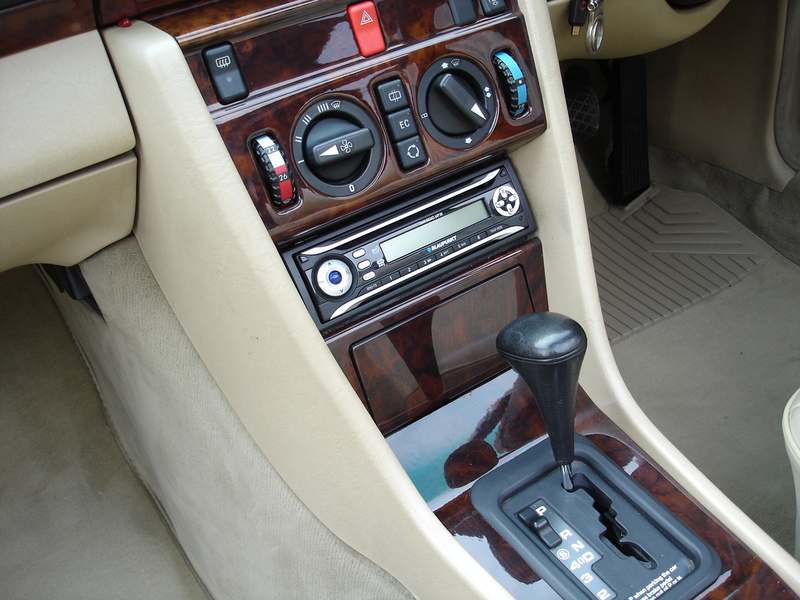 The unstinting care and attention to regular maintenance throughout the car’s life has resulted in a car that looks, feels and drives like a much younger and lower mileage vehicle. 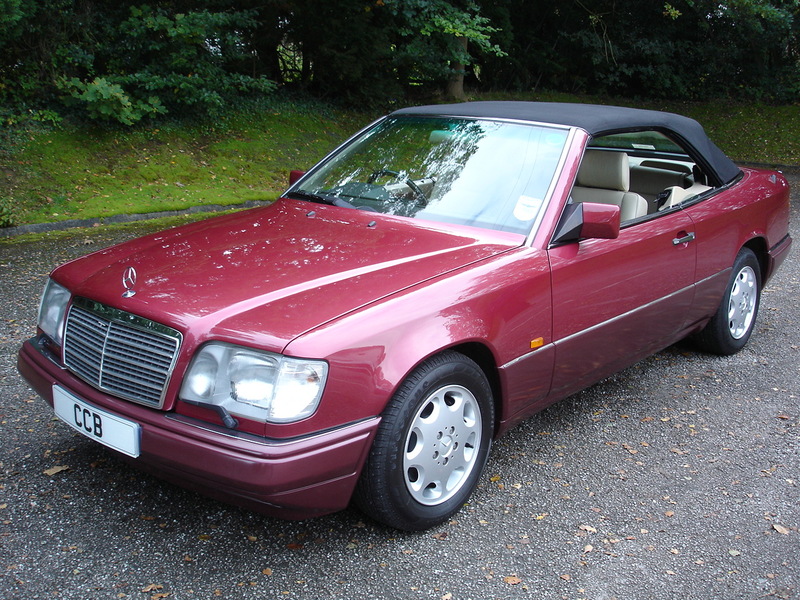 Whether it is purchased as a weekend indulgence or a daily driver for the summer, this lovely car will suit the discerning enthusiast perfectly. 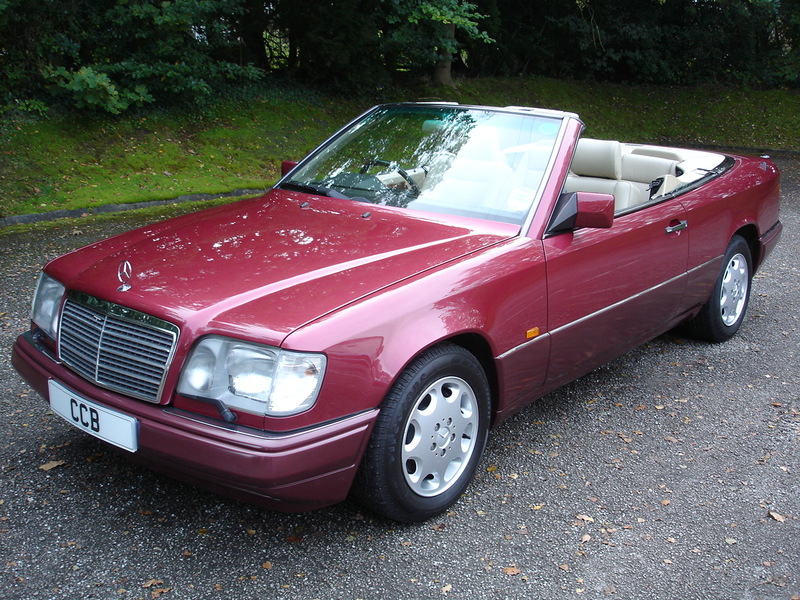 The purchaser of this beautiful car will have a possession of lasting quality and increasing rarity, which will be a delight to own and drive for many years to come.